Order Shipped - Triggers when an order is shipped. Order Cancelled - Triggers when an order is cancelled. Customer Email Update - Triggers when an email is updated. Product Out of Stock - Triggers when a product is out of stock. Order Refund - Triggers when an order is refunded. Order Paid - Triggers when an order is paid. Create Customer - Creates a new customer. 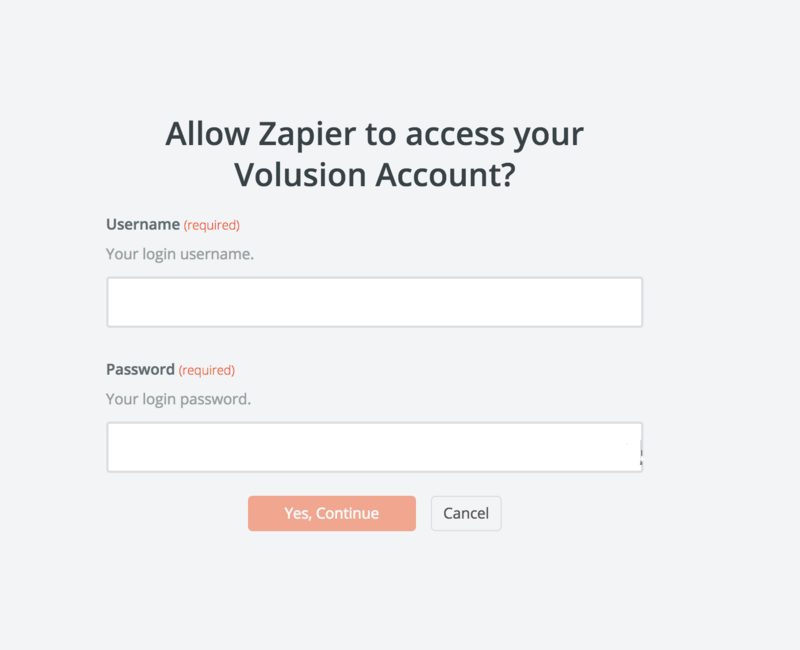 When you start creating a Volusion Zap, you will be asked to connect your Volusion account. 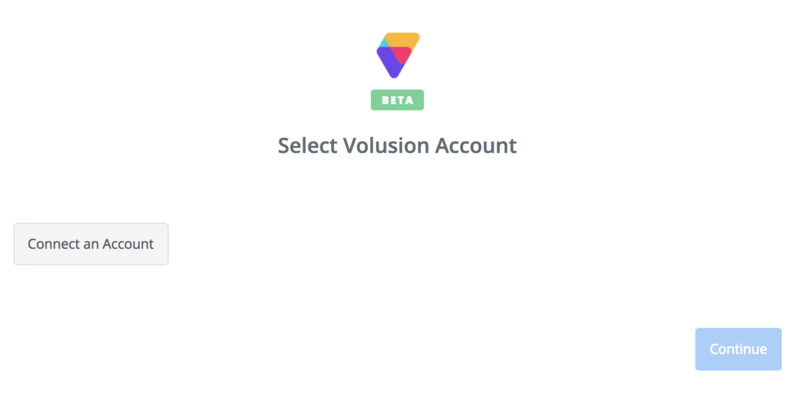 You’ll now be asked to log into your Volusion account (unless you are already logged in). 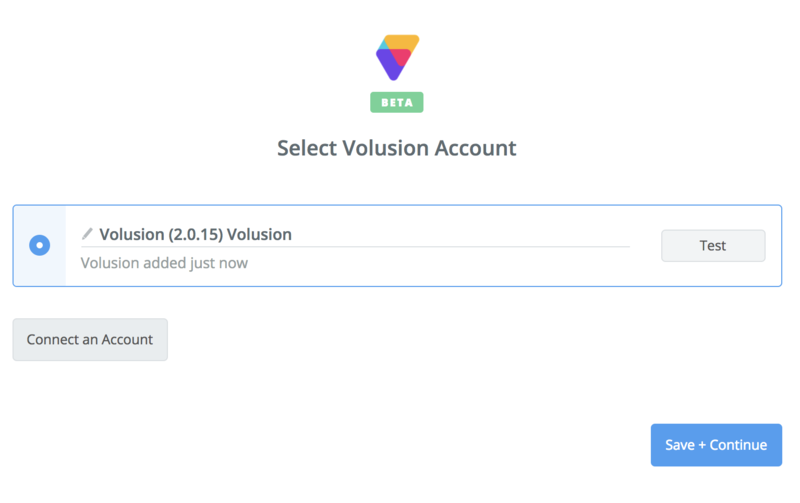 If all steps were successful your Volusion account will now be successfully connected. You may not be able to connect your account if your store has since been closed or if your Volusion account is on V1. Zapier can only integrate with the V2 platform. If your store was built in 2018, Zapier should be able to integrate. For any store built before then, check with Volusion for compatibility.